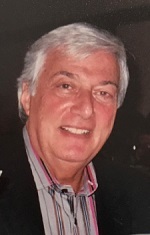 Stuart Perlman, 82, of Bloomfield Hills, Michigan, died on 18 March 2019. The Funeral was held at IRA KAUFMAN CHAPEL on Wednesday, 20 March 2019 at 2:00 PM . Rabbi Joseph Krakoff and Hazzan David Propis officiated.